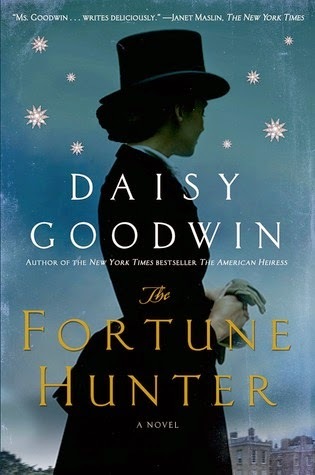 In The Fortune Hunter, Daisy Goodwin’s new historical novel, the reader is swept away to a little known historical setting that promises grand adventure and romance. Unfortunately, The Fortune Hunter fell flat for me, even if I did learn a bit of history while reading. Elizabeth, Empress of Austria, is on a tour of England in 1875. Married as a teenager to an emperor devoted to his work, Elizabeth yearned for more excitement than just that of a royal wife. Elizabeth (Sisi) considered the “Princess Diana” of her time, wanted to focus on her interests, which include riding horses and fox hunting. On a trip to England, Sisi is assigned a pilot named Bay Middleton. Captain Middleton, a veteran of military service, is to guide Sisi through her rides. Though Captain Middleton is romantically involved with Charlotte Baird, an heiress, he is charmed by Sisi’s royal demeanor and riding prowess. Charlotte, a photographer, is no royal beauty. She is forced to stay under the thumb of her brother and his overbearing fiancée because she is not entitled to her fortune without her brother’s say-so. Even her romance with Bay Middleton is discouraged, as he has the reputation of being a fortune hunter. But Charlotte feels certain of Bay and his feelings—even as she watches him fall further and further under the royal spell that Sisi weaves. My chief complaint about The Fortune Hunter is that I did not believe the romance between Bay and Charlotte. There was nothing that made me believe that this mousy little heiress would win the heart of the “great” Bay Middleton. Their connection always seemed tenuous at best, and I was not fully invested in either character. Also difficult to enjoy was the muddled character development. I still have no idea who this book is mainly about. Is it about Charlotte and her steadfast devotion to Bay Middleton? Is it about Sisi and her tour of Europe? Is it about a lonely heiress who is trying to discern whether she is about to be taken by a fortune hunter? I finished the book and I still cannot answer this question. In addition, Bay Middleton was no prize and mostly unlikable. He had an affair with a married woman and impregnated her. (He later ditched her.) He had an affair with the married Empress, all while romantically involved with Charlotte. His only objection was the idea that he would be considered a royal “stud”—available to the self-obsessed Empress whenever she beckoned him. Yes, the history behind the book is fascinating, but I am not sure that it warranted an entire book about it. 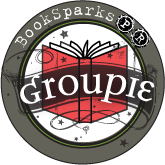 Sometimes, there is just not enough to make a novel, and the stretching of the source material is just too thin to sustain a cohesive story. Unfortunately, this is the fate that befalls The Fortune Hunter. Poor character development and a slogging plot made this one a chore.